Study Abroad, No Matter Your Schedule! 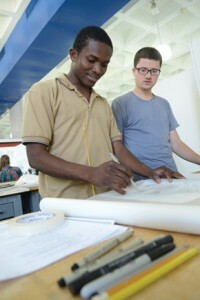 Philadelphia University’s College of Architecture and the Built Environment will host a two-week Summer Career Discover Workshop from July 8-July 18. This career discovery workshop is open to rising high school juniors, high school seniors, college students, individuals considering a career change, and those returning to the workforce in the areas of architecture, landscape architecture, interior design or interior architecture. If you have a passion for design and have been considering a career in one of the professions that contribute to the making of the built environment including architecture, interior design, landscape architecture, and interior architecture, this will be the perfect opportunity for you to explore these career options. You will experience what education and work is like in these highly creative and rewarding professions. This intensive two-week workshop will help you help you to make your decision and prepare you for admission to a degree program. The workshop will include lectures from advanced professionals and educators, an individually tutored design studio, drafting and computer aided design demonstrations, and field trips. Workshop fee includes course registration, materials, and any local transportation for site visits. Lunch on campus is provided. For more information about this wonderful opportunity to explore career options, click here. 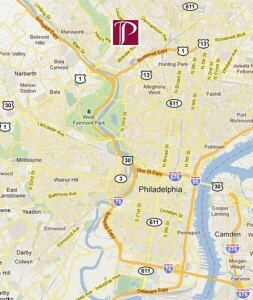 One of the many reasons why I chose to attend Philadelphia University was the prime location. I wanted the typical college experience of a tree-lined campus with beautiful buildings and big quads, but I couldn’t shake the idea that life in a city would be a fun and exhilarating way to spend my college years. I’ve found PhilaU to be the perfect combination of residential seclusion and city excitement. If you are looking for something to do, Center City is one of your best options. You can take the SEPTA bus directly from campus into the heart of Philadelphia to explore Reading Terminal Market, visit LOVE Park, have a cheesesteak on South Street, or attend one of the many concerts that take place at venues like the Electric Factory, the Theatre of Living Arts, and World Café Live. For those design majors seeking inspiration, you can pop in on one of the many Mural Arts Tours or show your PhilaU ID card to get free or discounted admission to some of the city’s best museums. Sometimes we all just need someplace to go and spend an afternoon and unwind. 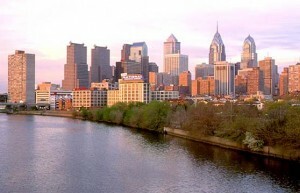 Manayunk is a great area to visit, as it offers many boutiques, thrift shops, and restaurants. Whirled Peace, a local frozen yogurt shop, is a definitely a student favorite that I highly recommend everyone check out! They also run a variety of events throughout the year such as Fashion’s Night Out, the “Manayunk on Ice” Winter Festival, and First Friday’s. The neighborhood is located about two miles off campus and can be easily accessed by walking, driving, or the SEPTA bus or train system. Philadelphia is definitely an amazing city for young people today. Each person has a different experience with the city, and it will give back to you whatever you put into it. It is continuing to develop and emerge in the national spotlight. Philly offers everything from low-key cafés to study in, to high-energy concerts and exciting events for students to take advantage of! Campus Philly is a non-profit organization that will help keep you in the loop on what is going on around town for young people. Sign up for their newsletter and discounts today! My advice to the next generation of Rams: take every opportunity to explore the city of Philadelphia. It will become your home. You will learn, experience, and discover things here that you will not find anywhere else in the world. 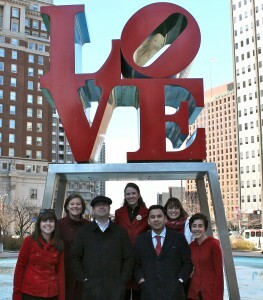 Enjoy all that the “City of Brotherly Love” has to offer you!